Igor Mazur is a 17 year old student from St James Catholic 6th Form in London, who planned to climb Mont Blanc to fundraise for SolarAid. Mont Blanc is Western Europe’s highest peak, at 4810m, and is surrounded by glaciers in a pristine alpine environment. The environment around is slowly but unstoppably experiencing the effects of climate change with its glaciers melting at an accelerating rate. There’s no better place to raise awareness and combat climate change at the same time! Igor planned to make the climb with his Mum and a mountain guide but, unfortunately, the climb did not go according to plan. On the days before the climb was planned there was heavy snowfall on Mont Blanc and heavy rain in the valley. Coupled with high temperatures and strong winds this led to heavy, wet and unstable snow cornices forming along the route which posed a strong avalanche hazard. When there is lots of wet snow on the most dangerous part of the route, the Gouter cliff, it increases the already high risk of rockfall. The visibility also becomes poor so any rockfall or avalanche higher up can be impossible to notice and avoid. 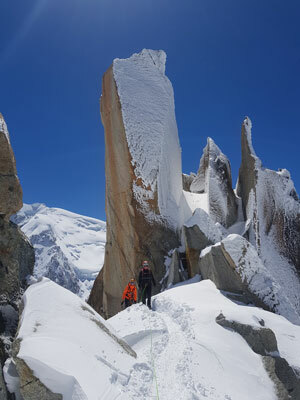 Considering all the above once Igor, his mum, and their guide Nicolas reached the bottom of the Gouter Cliff, Nicolas strongly advised them not take the risk and they were forced to turn back. 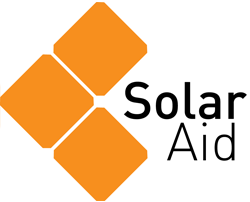 Igor raised over £1600 in donations for SolarAid, and you can still support his fundraising until the 27th October 2017. We are extremely grateful to Igor and his Mum for their support, and making such a wise decision to turn back. We wish them all the best for the future and hope that one day they get to the top of Mont Blanc. 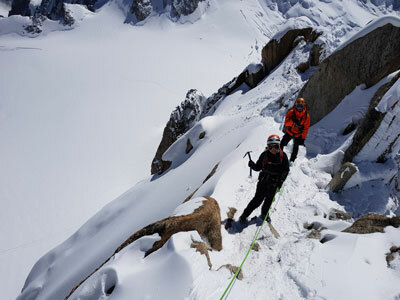 “Mont Blanc will not move from where it is now and we will definitely try again in the future”.